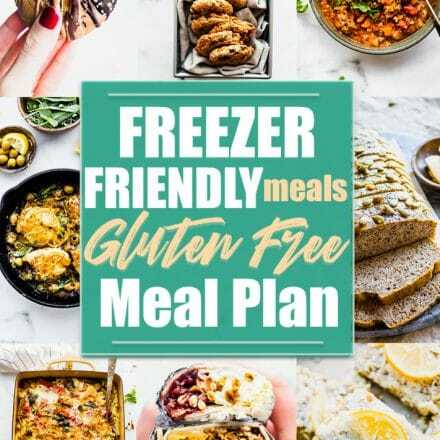 Clean eating gluten free meals that are made with seasonal ingredients, are refined sugar free, and of course, delicious! 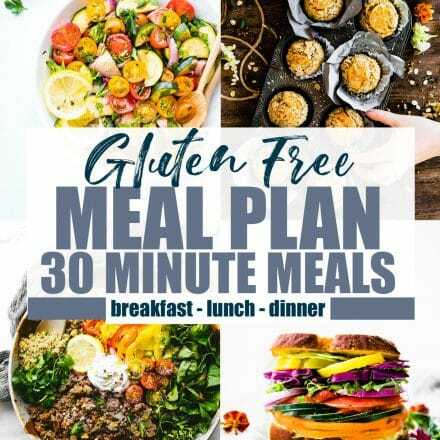 The recipes in this CLEAN EATING gluten free meal plan will give you a boost of nutrients from real food while also limiting extra sugars. A reset for the body as we transition into another season. I know, I know! I said it. The phrase… “Clean Eating.” Did you cringe? You know I am not a fan of that term, but you have to hear me out on this. 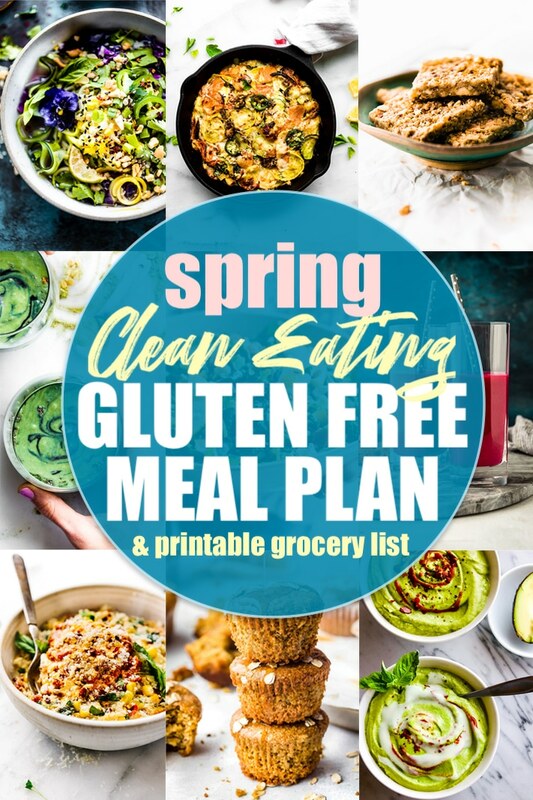 This gluten free meal plan is a fun take on the phrase “SPRING CLEAN.” We are cleaning up the ingredients in our diet to feel better. We are also SPRINGING in to SPRING with seasonal vegetables. Get it? 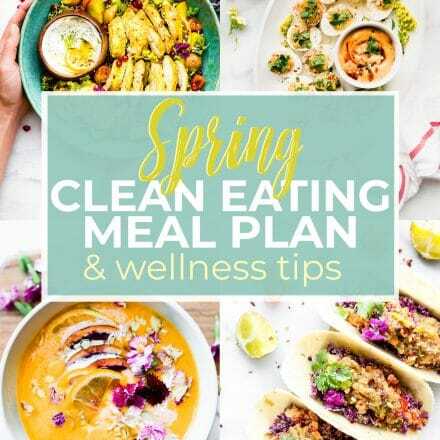 So that means this clean eating meal plan will not only be more nutrient dense, but it will be budget friendly, delicious, simple, and vibrant! I think we can all get on board with those types of meals, correct? Before we begin, please note that there is a new gluten free shopping list at the bottom that’s PRINTABLE! YAY! And there is a PDF of all the recipes that you can download HERE. Okay, let’s get ready to dust off our diets to make them squeaky clean. Haha. I just had to go there. 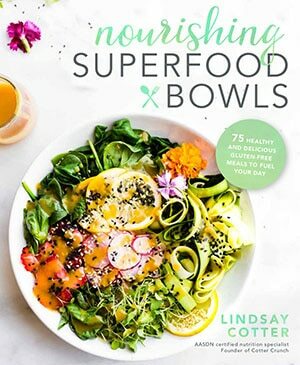 For the purposes of this clean eating meal plan, “refined sugar free” means that the recipes are sweetened with natural sugars. These include maple syrup, honey, molasses, or agave only. I’ve also included more seasonal ingredients to boost nutrient content. This includes leeks, onion, spinach, beets, peas, new potato, kale, carrots, herbs, and more! 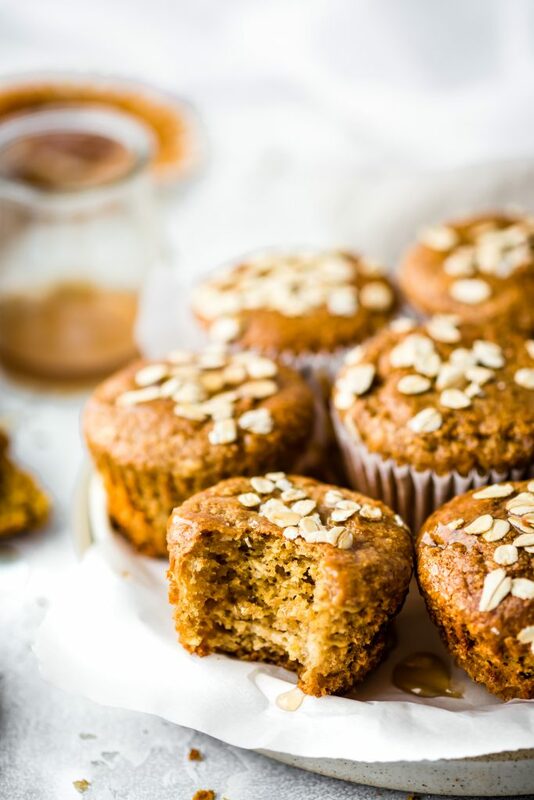 A gluten-free ricotta muffins recipe that’s honey sweetened and rich in protein, fiber, and calcium. Flourless baking made quick and simple. YUM! 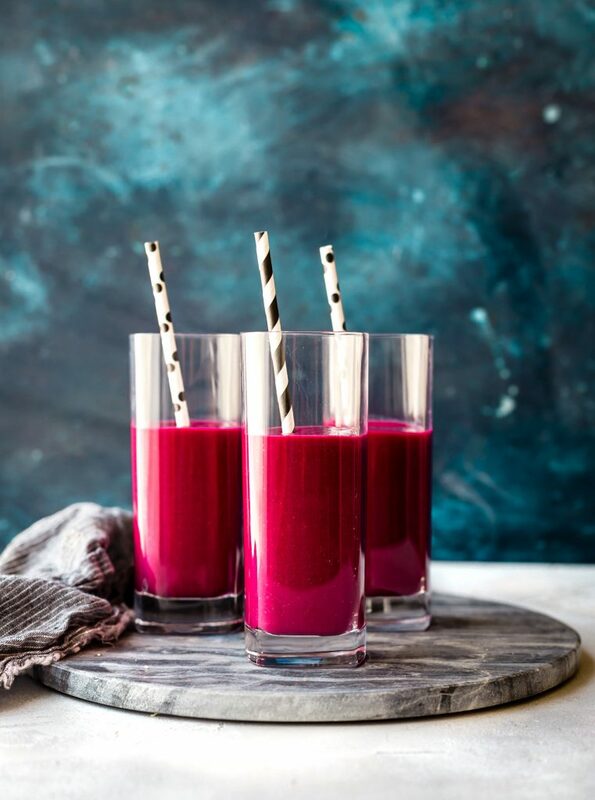 These superfood smoothies are packed with nutrient dense ingredients to boost energy, stamina, and vitality! With hidden veggies, silky smooth almond coconut milk, and tropical fruits, they’re a healthy, wholesome, paleo, and vegan friendly drink! The perfect way to utilize leftover veggies! A stir fried “carrot rice” mixed with egg and sausage. 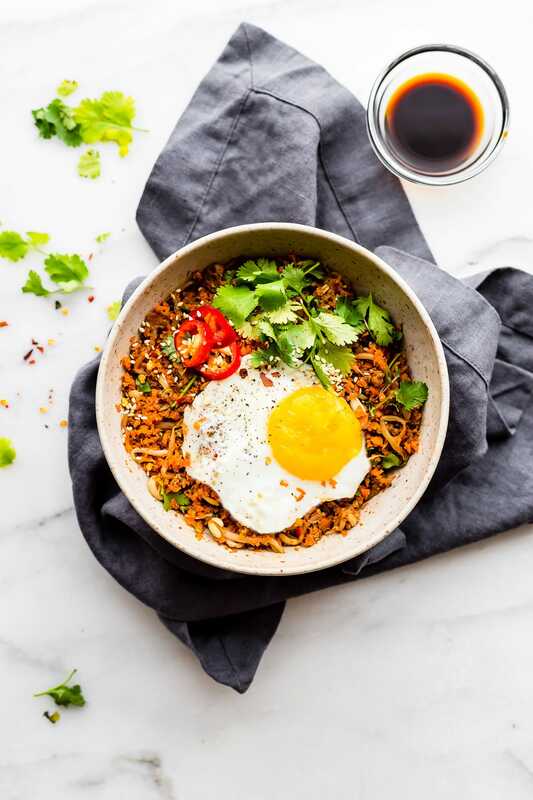 An Indonesian style breakfast that’s paleo friendly, flavorful, and packed full of protein and veggies! 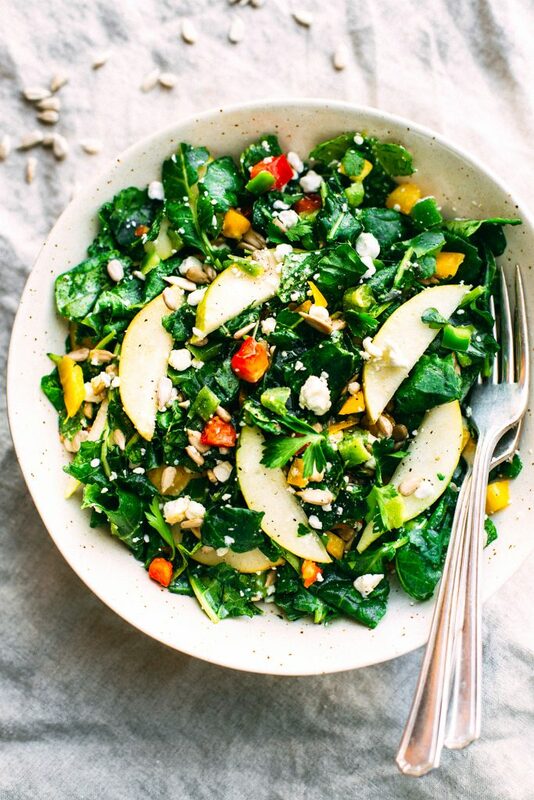 A satisfying ZIPPY kale salad packed with delicious ingredients and a light honey dressing. Just like your favorite restaurant style salad, but easy to make make fresh at home all in one bowl. Just toss and go! 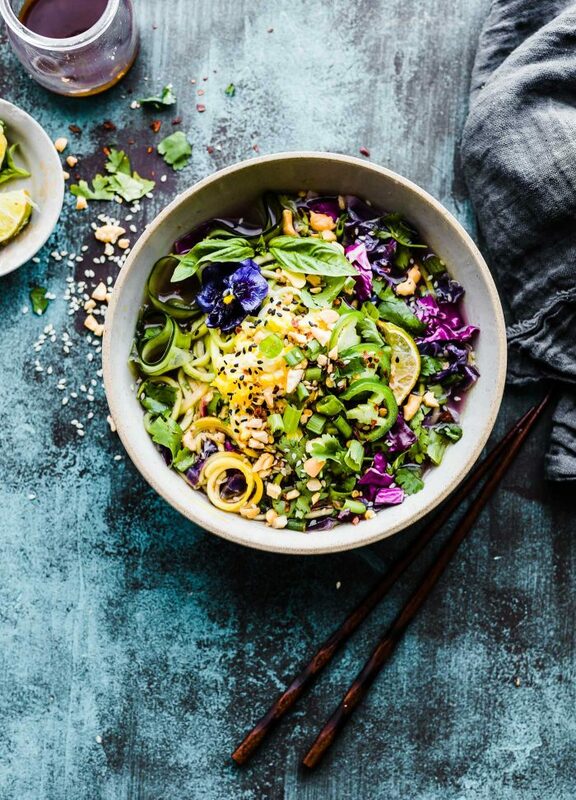 This Asian inspired, paleo zucchini noodle soup is light yet rich in anti-inflammatory properties. A gluten free clean eating, nutritious soup with vegetarian and vegan options, so come now, get healthy! 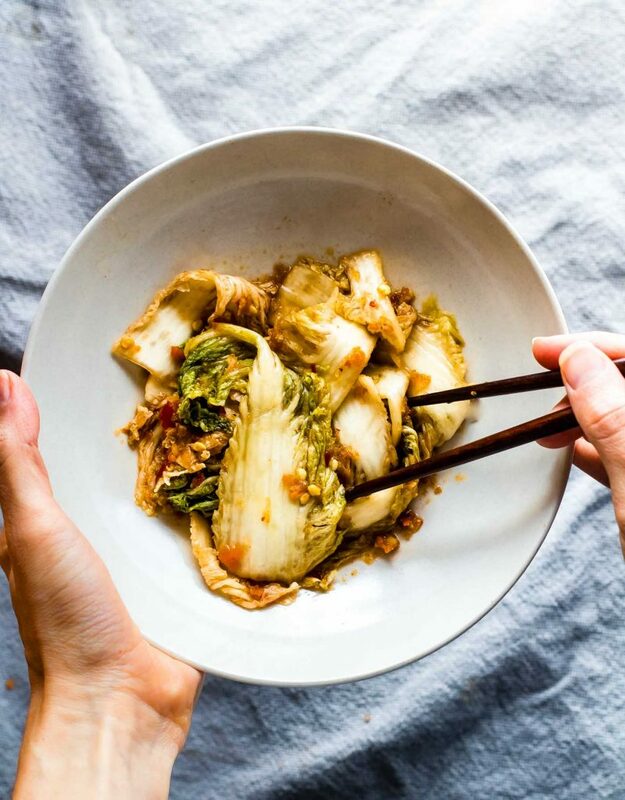 This easy kimchi recipe has a fusion of Asian and Southwest flavors. A spicy, tangy kimchi that takes very little time to prep and make. The hardest part is waiting for it to ferment. *Sugar Notes* This recipe does use real sugar but it quickly ferments reducing the insulin effect. Feel free to leave out sugar if needed. 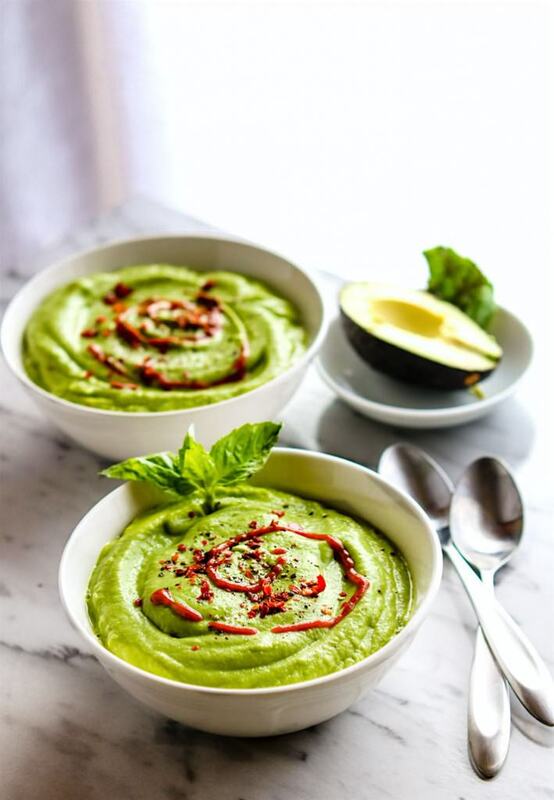 This super creamy, clean eating gluten free spring pea soup is loaded with healthy prebiotics, extra veggies, tons of flavor, and nourishment. A perfect way to SPRING CLEAN your diet and start fresh. Spicy jalapeño shrimp veggie bake is low carb, grain free, and an easy to make recipe in under an hour! 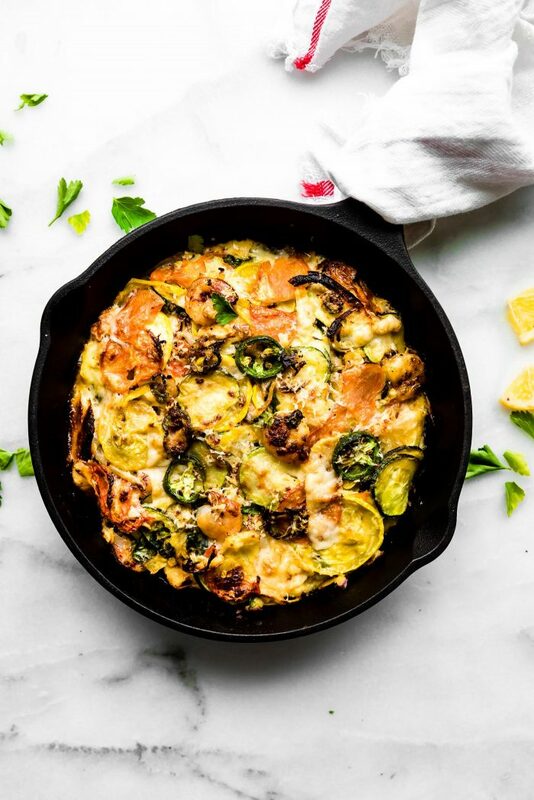 Seasonal vegetables, lean protein, herbs, and spices, all cooked in one pan. These gluten free clean eating Deconstructed Stuffed Bell Pepper Bowls are family friendly, easy to make, easy to clean up and easy to devour! 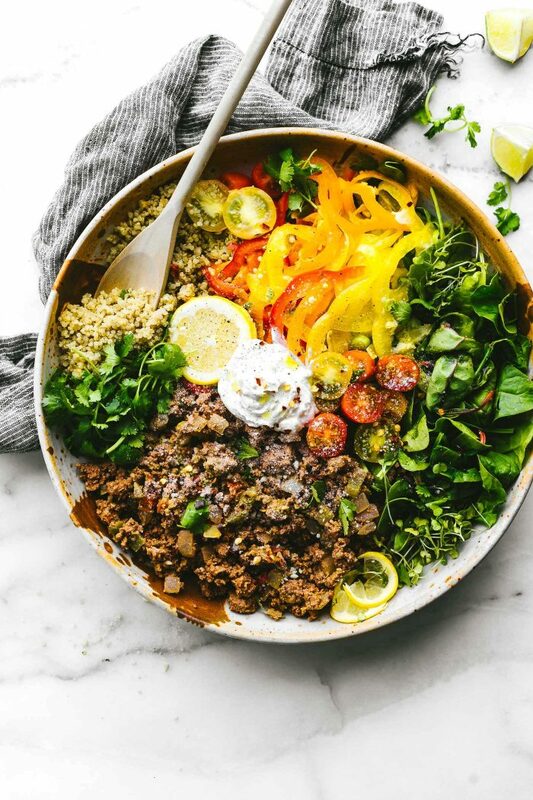 The combo of lean beef and bell peppers make for one iron-boosting and antioxidant-rich bowl. Dairy free friendly and option for vegetarians included! Vegetarian comfort food made lighter and healthier. If desired, add some meat. 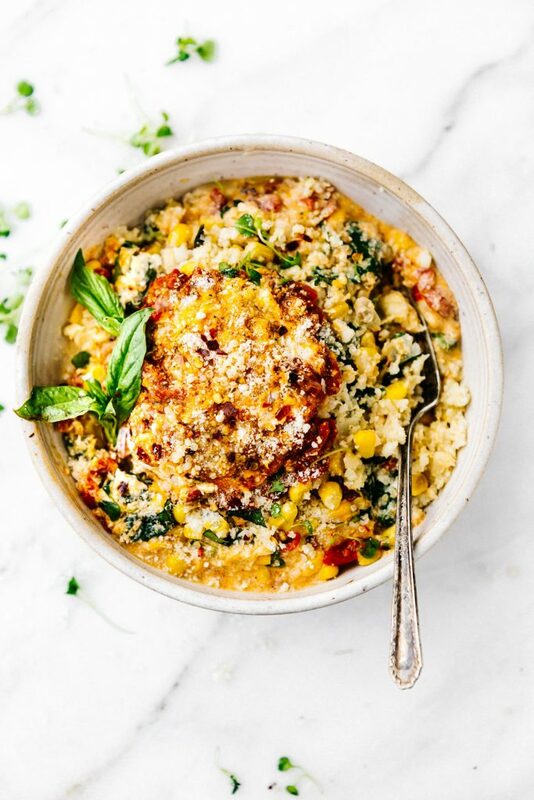 Cauliflower riced into “grits” with sweet corn, Gruyere cheese, spinach, basil, onion, and more. Ready in 30 minutes! 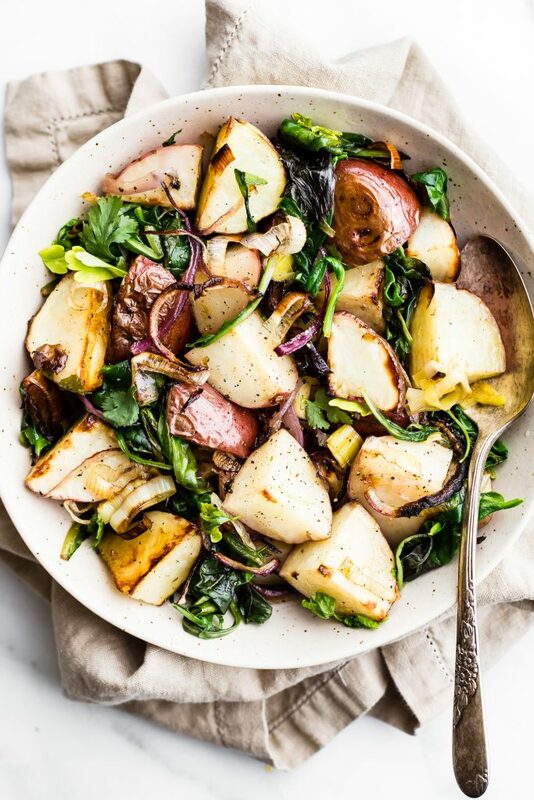 This vegetable pan roast is packed with seasonal leeks, potatoes, and steamed spinach greens. Delicious alone, or add chickpeas or chicken for a complete meal. A paleo and vegan spring recipe, perfect for any gathering. Whole 30 friendly! 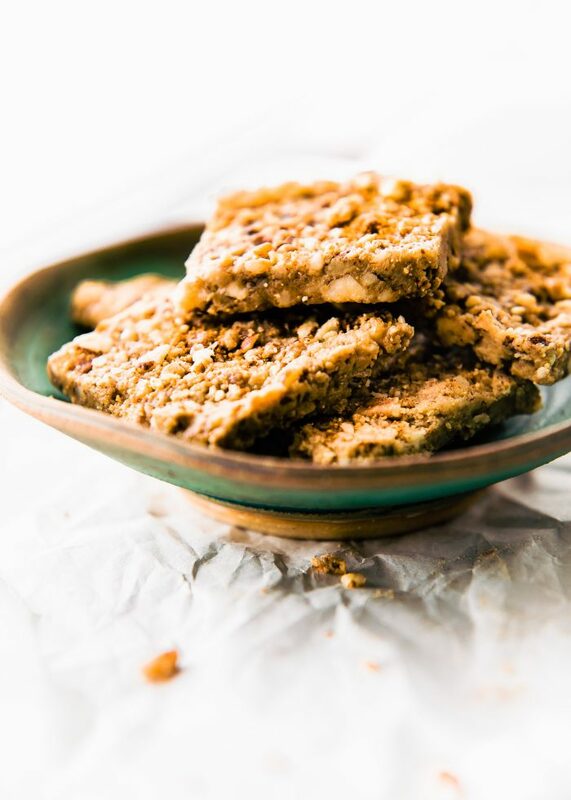 These vegan and paleo friendly baklava flavored bars are full of sweet nutty flavor and healthy fats. 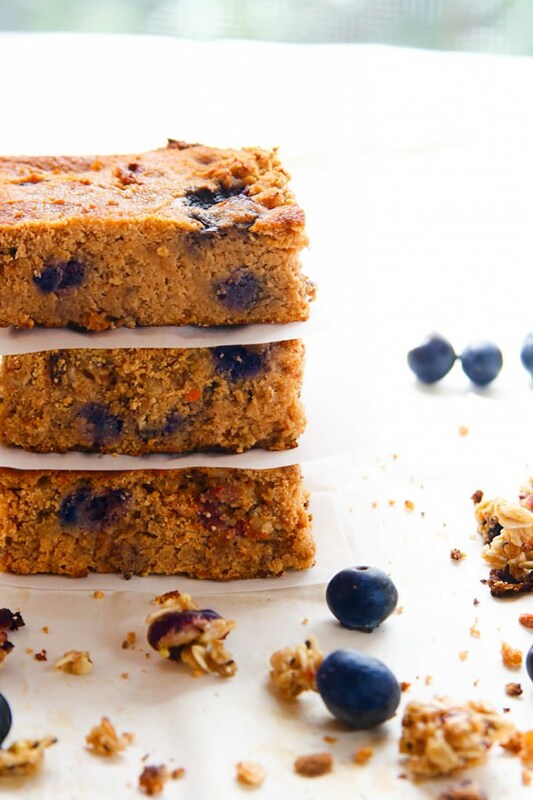 Lower in carbs, sugar, and great for snacks or breakfast on the go. 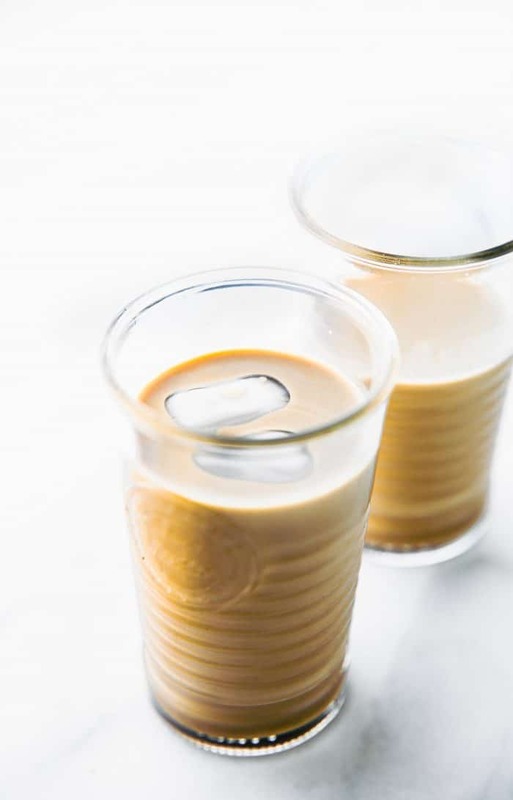 This butterless bulletproof coffee latte is just one of 3 delicious ways to use MCT oil. 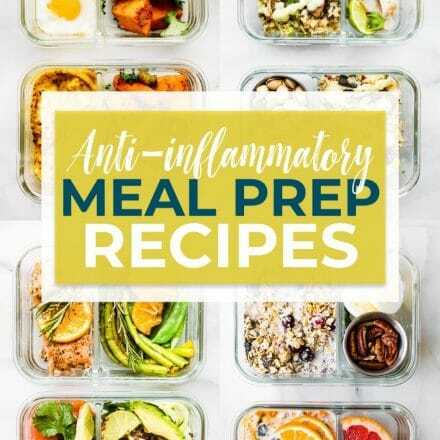 Learn about the health benefits and get the other recipes, too! No added sugar needed. 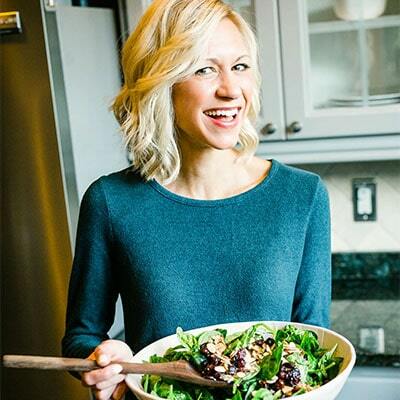 HOPE YOU FOUND THIS MONTH’S CLEAN EATING GLUTEN-FREE MEAL PLAN AND RECIPE IDEAS HELPFUL! Please let me know if you have any questions. Everyone’s planning system works differently, so take that in mind. All in all, you can’t go wrong with taking time to make and enjoy REAL FOOD that helps you feel so fresh and so clean clean! Shall we jump the grocery list and start planning? Your new and improved printable gluten free meal plan grocery list is below! If you have any questions, feel free to comment or email me. Would love feed back or more ideas for future meal plans! Mental note: do not read Lindsay’s blog when hungry. why we need to move closer. I will deliver to the birthday girl! Why do bloggers like yourself keep perpetuating these lies for clicks. As a diagnosed celiac for over 20 years I have not found ANY safe or gluten free oats. I have tried several brands of supposed GF oats only to have a major gluten reaction. Gluten Free means 0 gluten not under whatever PPM is allowed by the government. I’m also happy to put you in contact with bobs redmill so you can ask more questions about their GF products. This is the simplest way to acquire online free animal jam codes and cheats online. You can also get animal jam codes for free membership, gems, diamonds within minute. This is exactly what I need for this season. Thanks!